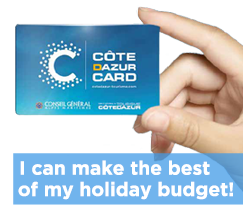 Here are some suggested itineraries on which you can discover the wealth of the Côte d'Azur’s religious heritage. While discovering some amazing sites, the different Romanesque, gothic and baroque churches are a showcase of religious art. Have a nice visit! 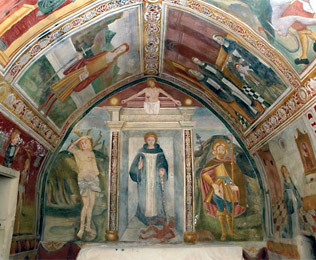 These painted chapels are a testimony to a time when the upheavals of the end of the middle-ages caused the faithful to call upon God and the Saints to come to their aid. While travelling between the valleys and villages of the highlands and lowlands, you will come across these hidden treasures: surprisingly colourful walls, partitions and “heavens” covered with frescos and images of the saints. The Route des Bréas is one of the most beautiful routes there is, the church artist route. From the second half of the fifteenth century, the villages of the Comté de Nice dedicated themselves to ornamenting their churches and chapels. They called upon a number of artists who formed the “Primitifs Niçois” school, the most well known of whom is Louis Bréa. Baroque art flourished in the Comté de Nice. 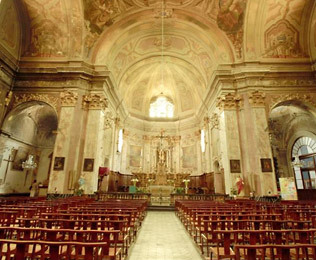 The Nisso-Ligure Baroque Route explores 80 of the most beautiful monuments, sacred and secular, of a priceless architectural heritage: chapels, churches, palaces etc. dating from the end of the sixteenth to the beginning of the eighteenth century. The Alpes-Maritimes Highlands and Foothills are home to moving sanctuaries, monasteries and abbeys. Immersed in some of the most beautiful décors to be found on the Côte d’Azur, a visit to these religious sites will always amaze.